We proudly present you the team that makes Acttiv possible!! Today we introduce you to another Acttiv colleague: Ana Colmenero. 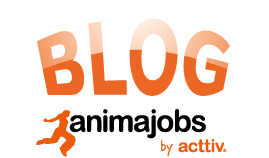 Who is Ana and what does she do at Acttiv? Continuing our “Meet the Acttiv Team ” series, we’re proudly introducing you to another of our members: Janine, our Tenerife coordinator. Does she look like royalty or what?